This entry was posted on 15/10/2012. Bookmark the permalink. Aarstiderne: When thinking inside the box IS a good thing. Aarstiderne, a relative young Danish company (1999) is spreading weekly over 26,000 vegetable & fruit boxes to the doorstep of consumers allover Denmark and abroad. The company consists of a vegetable production location (in Gram), offices, distribution- and packhouse and meat production (in Barrit), and furthermore a show farm, a restaurant, school gardens, school cooking projects and a brewery (all in Humlebæk). On an early Sunday morning beginning of September we passed by at Aarstidernes farm located in Humlebæk. We expected that everything would be quiet and that at most a gardener would be working. However, when we got to the farm, we saw cars being directed to special parking places and a stream of people entering the farm. It was THE open weekend of the year. Two days full of farm life experience. We were on the right time on the right place! Lounge music from a DJ, beerbrewing and tasting, farmers market, fresh bread baking, juice bar, restaurant and a wide variety of activities for children including pizzabaking, horseriding, strawbail plays, topinambour labyrinth, etc etc. Also nature conservation organisations, animal ambulance, some “green” clothes and other commercial companies were present on the market. All was in a family atmosphere where young & hip parents (most of them from Copenhagen) with children could meet each other and enjoy a sunny day in the countryside. About 5000 people per day came to enjoy the spectacle! Founder Thomas Harttung came from a large family of 7 children. When his parents died in 1984, he decided to take care of the family’s farm with 370 ha of forest and 300 hectares of arable land in Barrit. Thomas studied sustainable foresty and he turned his forest into a FSC forest. 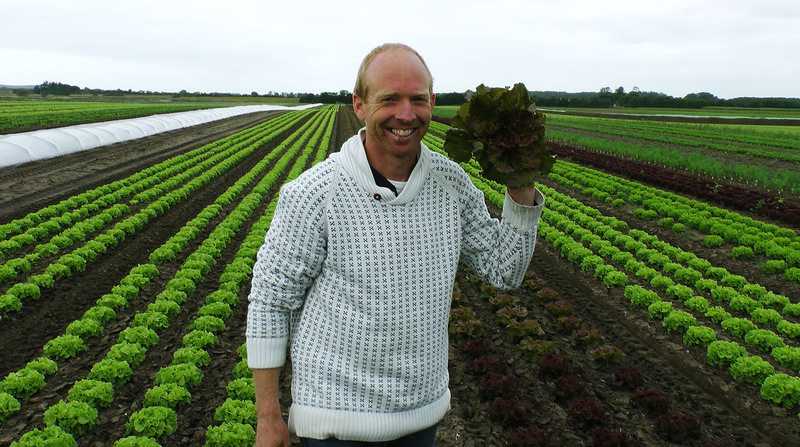 It was only in 1996 that the farmland turned to organic and in 1997 that he started with vegetable boxes together with Aarstidenesco-founder Søren Ejlersen. At the start they had only 30 customers after a few weeks 100, now 27,000. Their idea was to have a production farm on all of the Danish islands which would all have a separate vegetable box distribution system. This turned out to be economically unfeasible, and they had to reshape the company in such a way that logistics and packing were centralized. Aarstidernes idea is to source as much Danish produce as possible (currently about 50%) but since the amounts required are so large it is difficult to find suppliers that can handle these quantities. There is a strict no-flight policy when it comes to purchased produce for in the boxes. Because of its scale Aarstiderne can make addition investments to make their work more sustainable and efficient. 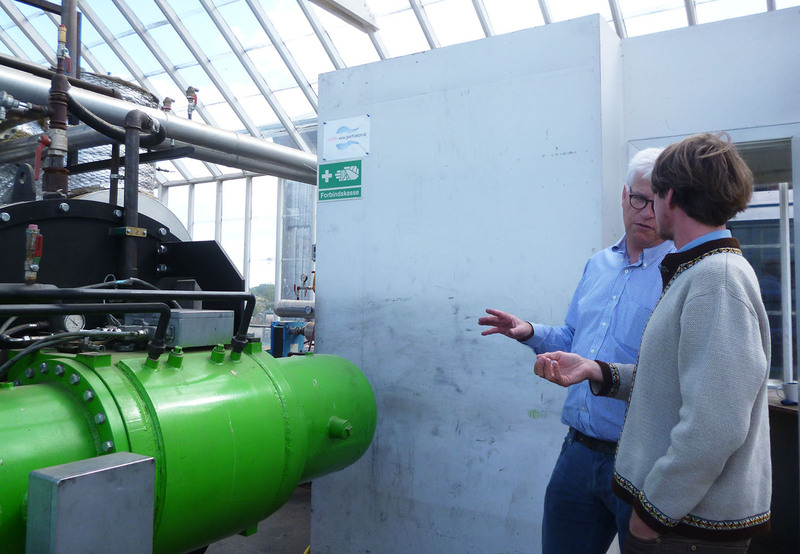 One of the examples is their pyrolysis or biochar plant which turns the wooden vegetable boxes after use into heating energy and biochar (a sort of charcoal which can be used for soil improvement). On farming level a compost turner is used to make good quality compost and to make use of the available inputs as efficient as possible. Aarstiderne sells more than just the vegetables and food in a box but rather an ‘organic life style’. Through educational programs like their ‘from garden to stomach’ program children learn how to grow vegetables organically and cook with the fresh harvest straight on the field! With the vegetable boxes that are brought to the doorstep comes a folder with recipes and information about the products. 45 different kinds of boxes the costumer can choose from. Recently Aarstiderne even started to deliver full meal boxes, including all ingredients like fresh pasta, pesto, fish and koriander needed for 3 to 4 meals per week. 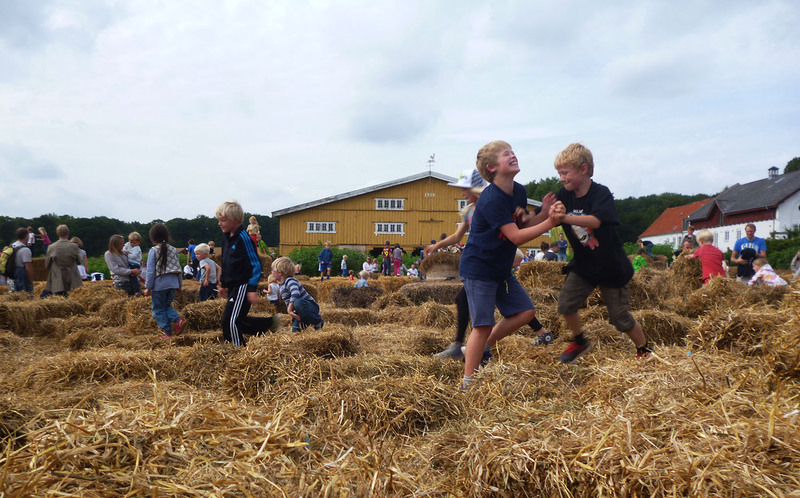 We spoke to Aarstidernes founder Thomas Harttung and asked him where he saw chances for young ‘future farmers’. Thomas Harttung: “I see a chance for a new wave of young organic farming projects whereby young farmers cultivate land which is owned by urban professionals who inherited it from their parents. Those urban professionals that do not farm themselves and currently rent out to the land to a conventional farmer, might start seeing that their sustainable and organic city lifestyle does not correspond to how they are treating the land they have taken over from their ancestors. 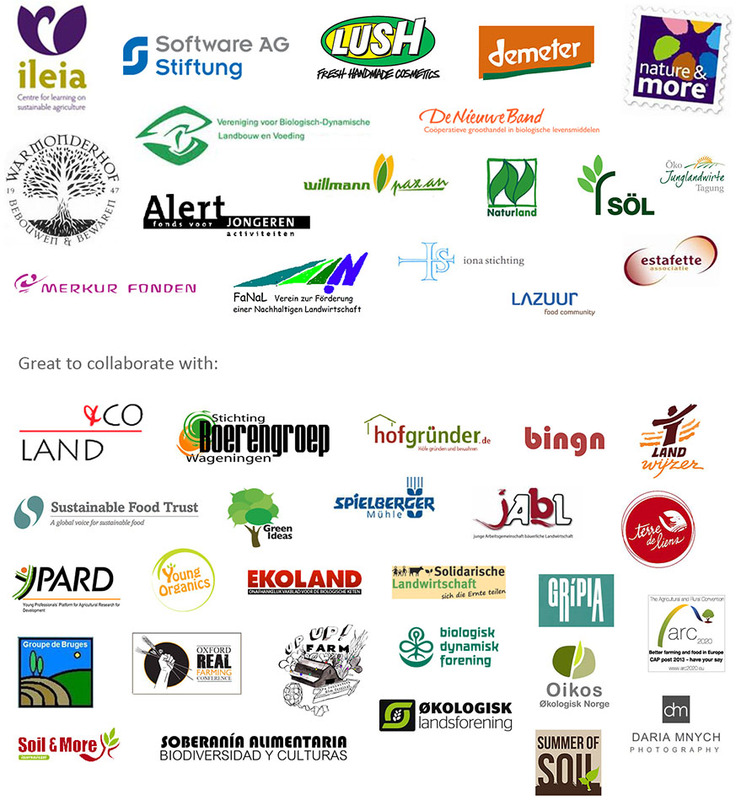 Those people need to understand that by only giving up 200 or 300 euro per ha per year they can make a massive change. They should make the land available for people that want to farm differently and grow the food that the people in the city are actually eating. Up to know, nobody questioned that you could have an urban sustainable life yourself and then allow your families land to be rented out to a conventional farmer using synthetic fertilisers and pesticides. This discrepancy will have to change”. 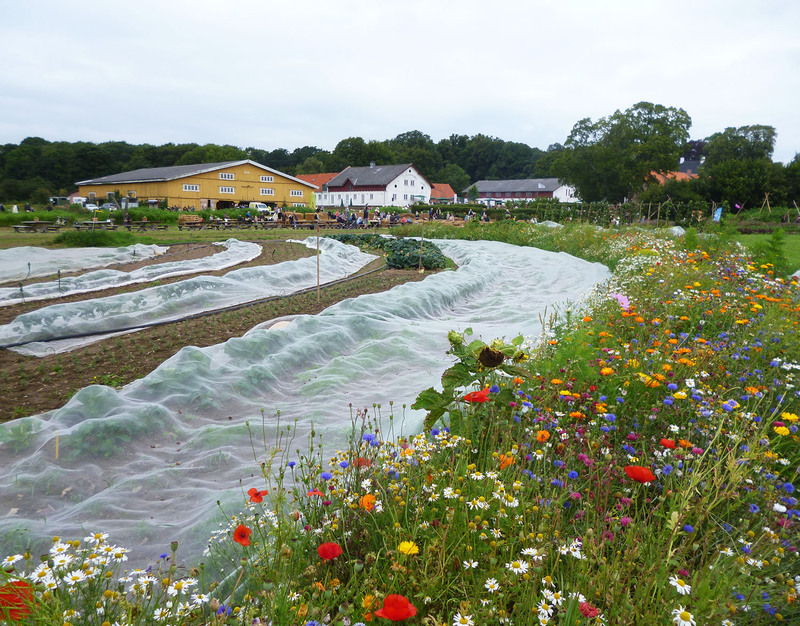 In realizing a shift towards more organic agriculture in Denmark Thomas Harttung thinks that the Danish government should also change their approach. Thomas Harttung: “The Danish government should have information evenings rather in the city instead of on the countryside and shift in their focus more to the landowners”. For new ‘future’ sustainable farming initiatives Thomas Harttung thinks that it is important that the structure is so that decisions can be made. A number of organic project have further made the mistake of hiring a friend instead of hiring a person that can do the job. That way you might end up with an incompetent group of people”. Thomas Harttung: “We accepted that we have been bringing in quite some conventional minds into the business idea. But we had to accept that this was a business that has to run under business principles and not just under anthroposophical principles”. For more information, visit the website of Aarstiderne: http://www.aarstiderne.com/.